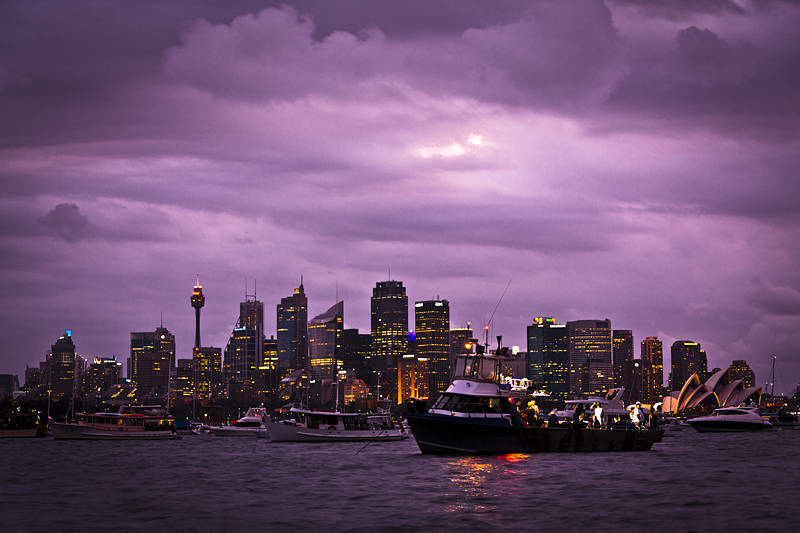 This evening skyline was taken in Sydney Harbour, New South Wales, Australia. To process this image I wanted to bring out the orange lights and purple sky. I started by using HSL in Camera RAW to boost the luminance and saturation of orange and a smaller boost to yellow and red to avoid posterization. I reduced the luminance of the blues, magentas and purples to darken the clouds. Finally some green tint was added to reduce the strength of the purple.